Disclaimer: Always consult your Allergist and Medical Specialists. The information about the following tips can change at anytime. We do not assume any responsibility for any injury caused, as you must always be personally vigilante, always researching and always asking when dealing with your own food allergies or those of your family members or anyone you are traveling with. At ANY Walt Disney World Table Service (including Buffets) or Quick Service (fast food), Larry Welnowski of the Disney Food Allergy Travel Tips Facebook Group advises people with food allergies, to ALWAYS ASK for the Chef. At Quick Service restaurants you can speak to the Manager first, who will bring out the Chef or communicate between you and the Chef. Asking for the Chef is vital, especially if you have any concerns regarding cross-contamination. 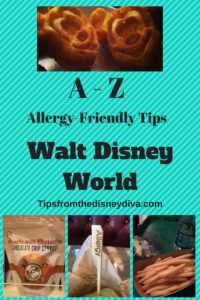 Did you know that you can eat at any BUFFET in Walt Disney World, even if you have food allergies? One of my favourite Walt Disney World Vloggers is a husband and wife team: The Adventures of Peas and Carrots! I reached out to Carmen of The Adventures of Peas and Carrots! 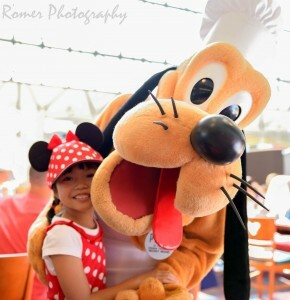 She said this about Buffets at Walt Disney World..
Canadian Diva’s daughter with PLUTO! You can dine at Character Buffets like CHEF MICKEY’S with allergies, always ask to speak to the CHEF concerning allergies. Disney World is known for their World Famous Chefs. Their Chefs, with extreme allergy knowledge, have almost a cult following of their own. Repeat Walt Disney Word guests with severe food allergies, who visit WDW often, even time their itinerary – based on when their favourite Chef is at a particular restaurant. The most famous Chef I have heard of (with whom I definitely would love to meet) is CHEF TJ who is currently at Trails’ End Restaurant located in the Fort Wilderness Campsite & Resort. His creations are AMAZING, they are so incredibly attractive that his sculptured food towers makes non-allergy patrons jealous! I heard they super delicious too. Again, a great way to know about the AMAZING Chefs at Walt Disney World and to be part of a wonderful community of Allergy Families that travel to Walt Disney World and Disneyland is to request to join these fantastic Facebook Groups: Disney Chefs Rock Food Allergies and Disney Food Allergy Travel Tips Group. The Dole Whip is definitely one of the most POPULAR MUST have Disney Parks Treats! It is even more special for those suffering from some food allergies as it is gluten-free and vegan (dairy-free). As mentioned above, my son is anaphylactic to Dairy, Wheat and Egg. 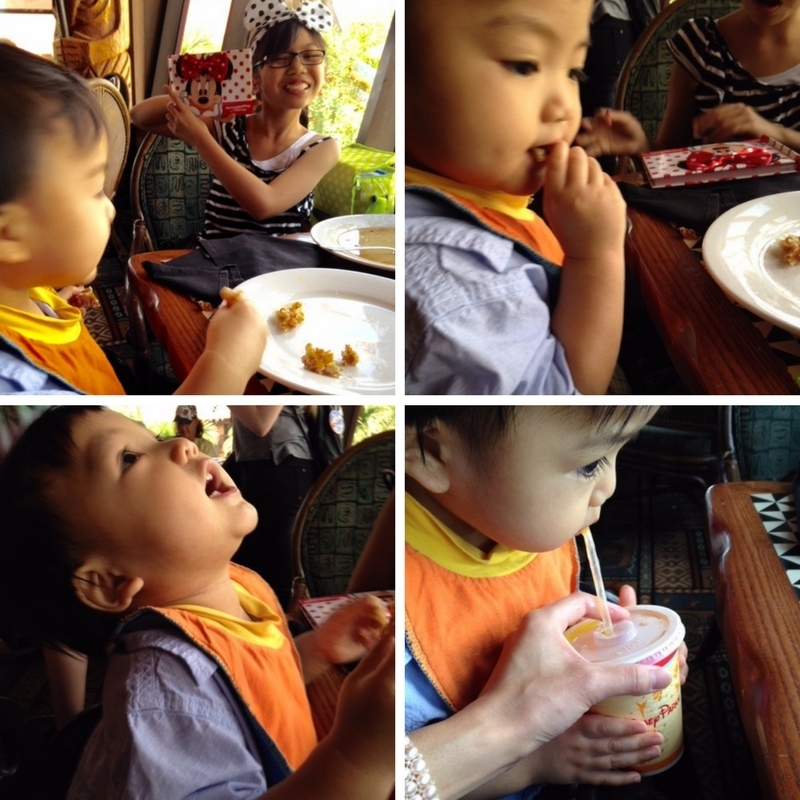 The Dole Whip was one of the first “ice cream” soft serve treats he has ever had. Please note: be aware that there could be cross contamination at certain locations when ordering this delicious pineapple treat as dairy products are shared in the same facility. Like I say throughout this article, ALWAYS speak to the manager and make your allergies known to the Cast Members. Prominent Food Allergy Blogger, the AMAZING Sarah of Gluten Free & Dairy Free at WDW has articles dedicated to information about the iconic Dole Whip in Walt Disney World. I want to call her QUEEN Erin McKenna! I first saw Erin McKenna on TV as a guest of Martha Stewart’s and since then I have been starstruck by this person who has, in my opinion, revolutionized Gluten-free and Vegan Baking in North America! 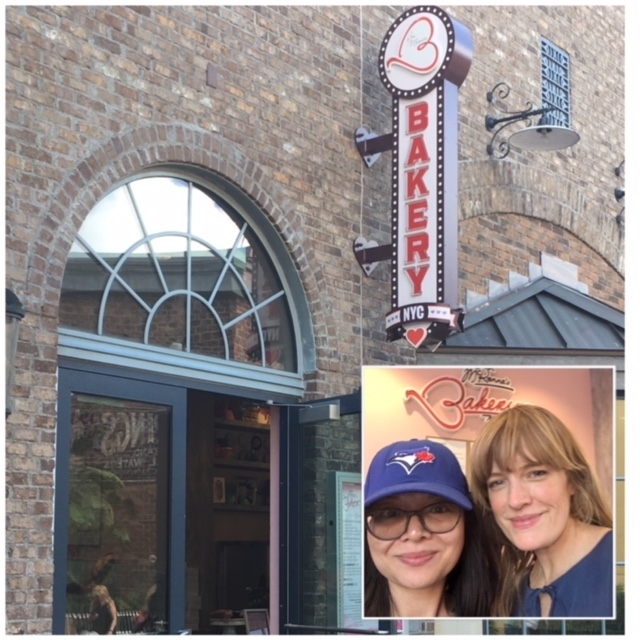 With her first bakery in New York City (which I have visited) extending to a Bakery in Disney Springs (where I had the honour of actually MEETING HER! ), she has made so many ‘baked’ dreams come true. People from all over the world, who normally cannot have bakery treats because they suffer from food allergies, are in heaven when they visit her lovely Bakery in Disney Springs, Walt Disney World. Please see Erin McKenna’s website for information regarding ingredients used and in particular their nut allergy policy. Canadian Diva met ERIN MCKENNA in her Bakery, Disney Springs, Walt Disney World. Did you know that Walt Disney World has its own campground called Fort Wilderness? You can camp with your tent or bring an RV there BUT they also have CABINS with a FULL KITCHEN which makes it very convenient for allergy families. Each Cabin can fit a family of SIX! There is so much to do at this wonderful site. Join this Facebook Group, Disney’s Fort Wilderness Cabins – A Magical Guide, to get a lot of information on updates about the resort, cabins, activities, tips and many more. Doug LaFond, an admin of the Disney’s Fort Wilderness Cabins – A Magical Guide Facebook group, says that the Cabins have laminate flooring which cuts down on dust and mold! This is great for people (like my son) who suffer from mold and/or dust mite allergies as well. Alexis Salerno is one of my favourite Gluten-Free Travel Bloggers, her site is Alexis’s Gluten Free Adventures. She blogs about Gluten-Free restaurants around America and of course she regularly visits Walt Disney World and Disneyland in California. Here she gives a fun tip.. NOTE: ALWAYS ask the chef regarding ingredients before ordering anything, what you order that may have been “safe” one time can sometimes change their ingredients and could be harmful. Not only does Walt Disney World have the BEST Halloween Party on the planet, did you know that Mickey’s Not So Scary Halloween Party (MNSSHP) also has allergy-friendly TRICK OR TREATING! YES! Read my article here about our incredible experience as an Allergy Family at this special annual event. Usually people with dairy allergies, dairy intolerances or dairy sensitivity cringe when they hear the word “Ice Cream”. At Walt Disney World there are so many non-dairy (along with gluten-free and possible nut-free options) cold treats. I mentioned above about the Dole Whip. Erin McKenna also has a diary-free, gluten-free soft serve (which my son LOVED). They even have something similar to the famous “Kitchen Sink” called the “Bakery Sink” but in a cup. And speaking of the “Kitchen Sink” at the Beaches and Cream Café in the Walt Disney World Beach Club Resort, although their “Kitchen Sink” is definitely not for those with dairy allergies, they do offer Dairy-free options (again, always speak to the manager regarding cross contamination). Also, many Table Service restaurants do offer an allergy-friendly desserts which may include an “Ice Cream”-like treat. Just ask your server what they may have to offer. Check out one of my favourite Dairy-free as well as Gluten-free resource at Walt Disney World, Gluten Free & Dairy Free WDW. Sarah was one of the first Bloggers our family turned to for information when we found out about my son’s allergies. My son rarely drinks juice at home because he has reacted to juices due to possible cross contamination. When we visited ‘Ohana for breakfast (see my article on 5 Allergy-Friendly Reasons to Visit ‘Ohana), he was over the moon to drink juice! When our server brought it to us, it was in a covered cup with a straw. I asked her if it was gluten-free and safe for all of his allergies. She assured me it was. My son was so excited to drink juice! And as Beauty and The Beast Diva says here, that ‘Ohana’s particular “Stitch Juice” is like “heaven on earth”. ‘Ohana Character Breakfast where Canadian Diva’s son enjoyed the JUICE (and a great meal) that was safe for his allergies! At any Walt Disney World Restaurant always confirm with your server of any allergens your beverage may contain to ensure it is safe to drink for yourself or anyone in your family/group who has allergies. Our very own Allergy Mom Diva talks about “Snack Carts” around DISNEYLAND, that have allergy-friendly snacks available to guests, see her article here. There are also similar food concession stands around Walt Disney World, especially in the Epcot Theme Park and especially during their popular Festivals (like the Food and Wine Festival, Flower and Garden Festival, International Festival of the Arts etc.). Many of these Kiosks may have allergy-friendly offerings listed on their menu, however always ask the Cast Member regarding the food being served. Enjoy Life Foods is probably one of my favourite Allergy-friendly companies. They make a variety of snacks and treats that are free of the TOP 8 and MORE. Enjoy Life Foods has a GREAT partnership with Walt Disney World and Disneyland in California. They provide their various treats packaged as part of the “Snacks with Character” in many of the resort snack shops. 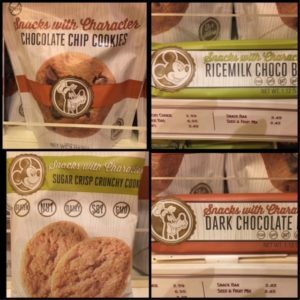 Their snacks (especially their delicious cookies) are also provided at the various Restaurants and Buffets around Disney World and Disney Resorts. And they also include tasty bars for an Allergy-friendly Trick or Treating at Mickey’s Not So Scary Halloween Party. They are truly innovators for allergy-friendly foods and are very active on Social Media: Twitter, Instagram, Facebook. 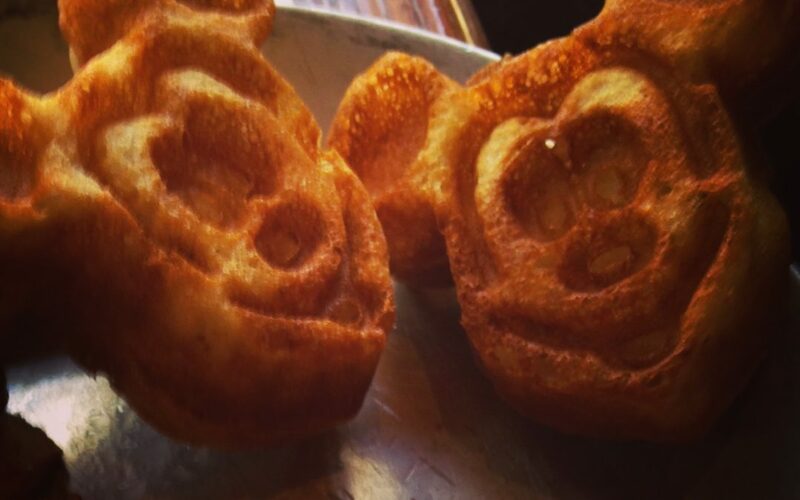 Use the hashtag #EatFreelyDisney to share your love of their treats at Walt Disney World and/or Disneyland. 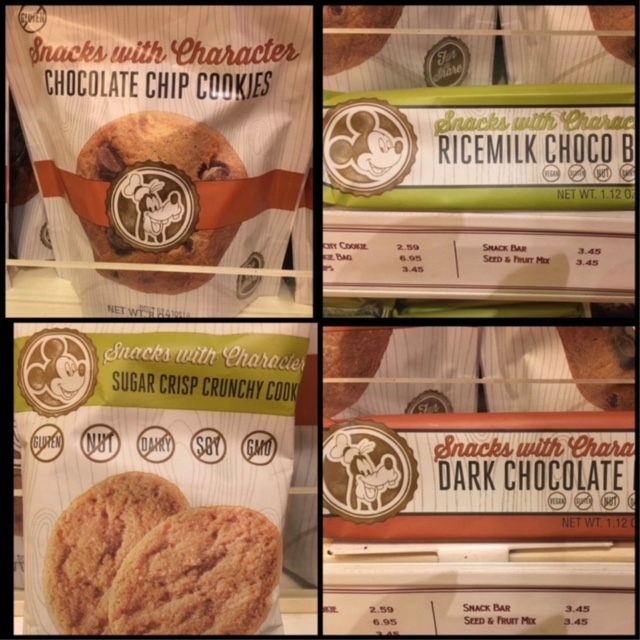 “Snacks with Character” Enjoy Life Foods Treats offered in Walt Disney World and Disneyland. Thank you to Pin Trading Diva and her mother Tina, for taking these photos! Please Note: that other food companies are also part of “Snacks with Character” so please always read the package, if it is made from Enjoy LIfe Foods, it will say on the package. And of course, ALWAYS read the ingredient list to make sure it is safe for you or your child to consume. A recurring tip I have seen on the Disney Allergy Facebook group is to ORDER OUTSIDE the menu. Whichever table service, buffet or even quick service restaurant you go to, Larry Welnowski of the Disney Food Allergy Group on Facebook, will advise that the menu given is not set in stone. You can request something outside what is listed especially to accommodate your allergies. Or at least “Relax” your expectations as Stephanie Lowe founder of TurnItTeal.org (see “T” below) mentions. “Plan your meals (ADR’s or Quick Service) at slightly off times (a little before of after the “rush” times) as it gives them a little more time to focus on your needs. DVC means Disney Vacation Club and it’s for vacationers who frequently go to Disney World and “own” Disney Resort real estate through points, a timeshare. If you are not interested in making an investment like this (note: many of the Diva/Devo writers are DVC members), you can RENT points. You can find sites that lets you deal directly with the owner OR go through a 3rd party which may make the transaction more smooth with rules in place to protect you and the DVC member renting to you. ALL resorts that are part of the DVC (for example Saratoga Springs), have suites that may contain a full kitchen which, as we allergy families know, is almost always a must when we travel. Stephanie Lowe, founder of TurnItTeal.org says this about renting DVC points..
Suzanne of Maple Mouse Mama, says that you can get in touch with your Walt Disney World Resort before your vacation and talk to HEAD of Mousekeeping (Housekeeping) to do a full Allergy Clean of your resort room. 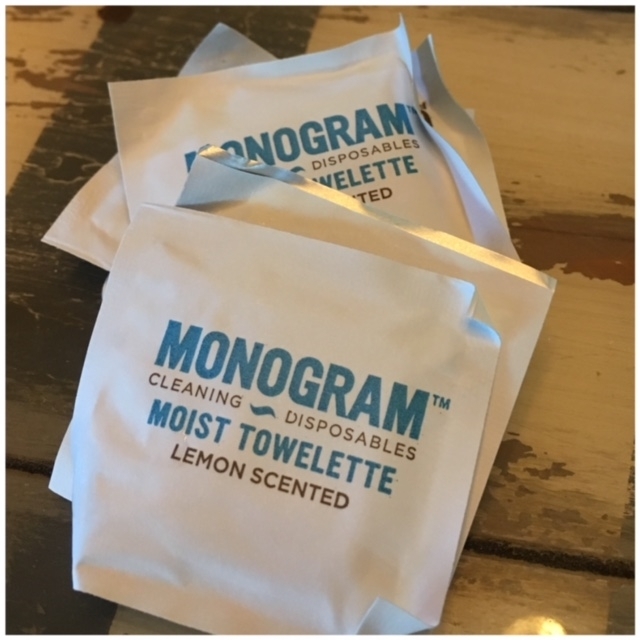 This will ensure a more intense cleaning of your resort room, see her experience along with other tips here. Amanda Bower of VeraVise WOW Travel (an awesome Travel Tips site) she was like many seasoned travellers who would scoff at the idea of a Walt Disney World Vacation. 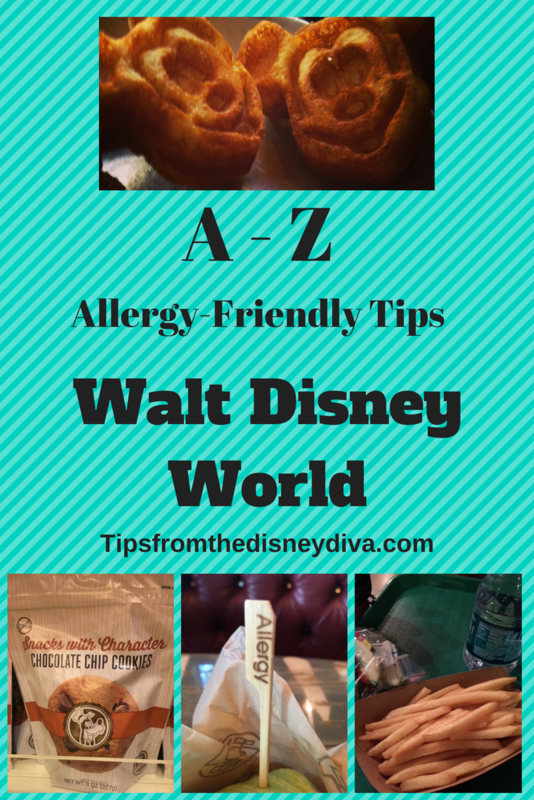 UNTIL she found out just how AMAZING Walt Disney World is, particularly for Allergy Families. Read her article here about how she went from being a Skeptic to a huge FAN of Walt Disney World. Amanda is also the co-founder of #DisFanChat, a fun and informative Walt Disney World, Disneyland and Disney Cruise Twitter chat! Join in the TWITTER party every Tuesday 9pm and tweet with the DisFanChat team, us Diva/Devo writers and many other Disney Parks Bloggers and Disney Theme Park Fans. Join DisFanChat’s Facebook group for up to date information. Amanda also hosts Mouse Fan Mondays Disney Blog Hop Party. Did you know that TEAL is the official color of Food Allergy Awareness. There is a whole movement across North America called the “Teal Pumpkin Project” to promote inclusion for children who have food allergies during Halloween. Walt Disney World is incredible in promoting this inclusion as I mentioned how they offer Allergy-friendly Trick or Treating at the Mickey’s Not So Scary Halloween Party where you collect Teal Colored Tokens and exchange it for allergy-friendly treats at stations marked with a TEAL colored marker on the maps. Stephanie Lowe, founder TurnItTeal.org has given us great tips throughout this article. Here is the mission statement of her fantastic and necessary organization. We definitely hope Turn It Teal will be able to light up TEAL in Walt Disney World or Disneyland one day. Teal is the official color of Food Allergy Awareness. 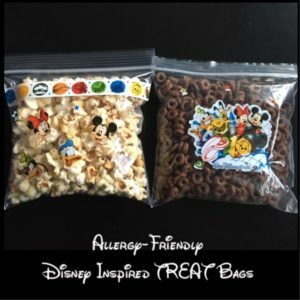 Suzanne of Maple Mouse Mama gives a really neat tip in her article here… make your own Allergy-friendly TREAT Bags so that your child doesn’t feel too left out when going to the Theme parks. I was so inspired by this tip that I made my own for my son (see photo below). This can also be a FUN activity to do with your children at home before your vacation. Decorate bags with Disney Themed stickers and embellishments then order “safe” foods from a Grocery Delivery Service (see next tip for ‘U’) and fill up your treat bags. Canadian Diva was inspired by Maple Mouse Mama to make FUN Disney Themed & Allergy-friendly Treat Bags to bring into the Parks! Using Amazon Prime is very popular here on Tips from the Disney Diva and Devo, as you can see this video by Pixie Dusted Diva on how to use it. Everyone visiting Walt Disney World should plan their vacation meticulously, however for allergy families you must be even more meticulous when it comes to planning. Wait times are often longer for families dealing with allergies at all the Table Service and Quick Service Restaurants. A great app like Touring Plans will help you navigate your touring park time to coincide with your meal times. Touring Plans are the same company that has the most INCREIBLE guides, The Unofficial Guide Series, to Walt Disney World as well as Disneyland and Disney Cruise Line (read our reviews of their informative guides, however note that the contest giveaways have may have past). Advanced Dining Reservations (ADRs) may be difficult to get even at the 180 Day mark. You may have your heart set on a particular Disney World Restaurant that you heard was fabulous for people with allegies, or want to go to a restaurant that has your FAVORITE allergy-friendly Disney World Chef working on a certain day or period of time. Well Touring Plans has a great service to let you know when a reservation becomes available, even days before your vacation. 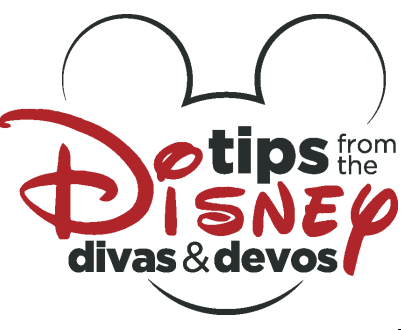 Read about Soarin’ Diva’s positive experience as well as information about Touring Plans’ Reservation Finder. A Disney Travel Specialist can also help you plan your Disney Parks Vacation. Contact a Disney Travel Specialist like our very own Military Diva and request a FREE Quote. Services are FREE when you book a Walt Disney Word vacation through her. Every parent of a child with Allergies and many people with severe allergies themselves, know how important it is to WIPE down every surface to avoid cross contamination or a contact allergic reaction. My son will break out in major hives if he touches a surface that contains any of the food allergens he is allergic too. At many Walt Disney World Quick Service eateries, they usually provide wet naps if you are eating anything with your hands (hamburgers, BBQ places etc.). I used the wet naps they provided to wipe down the tables and highchairs. If the Quick Service doesn’t automatically give wet naps, you can ask for them if they provide it. Wet Naps offered at various Quick Service Restaurants. Another tip: Passholder Diva mentioned that there are disinfectant gel stations everywhere in Walt Disney World, especially at most eateries. If you don’t have any wipes on you, a quick tip is to get a napkin, pump some disinfectant gel on it, and then use it to wipe down the surfaces where you are or child with allergies will be eating. Okay, I cheated X for extras! As allergy parents, we always have to bring “EXTRAS” when traveling. Extra: epi-pens, wipes (to wipe down surfaces from cross contamination), patience – as dealing with allergies on vacation takes a lot of patience, effort – in making sure that everything is safe for the family member with an allergy and SNACKS. Amanda Bower of Veravise WOW Travel has 2 children with food allergies and advises not to “wing it”. Her and her family learned the hard way that would end in stress and tears (and it’s usually hers).Take it from Amanda who has travelled A LOT to many places, ALWAYS be prepared with extra safe foods for your kids. There are many YouTube channels that feature great video tips! Subscribe to our own YouTube Channel to get great Walt Disney World, Disneyland, Disney Cruise Line and Disneyland Paris tips. For more great tips and awesome trip reports, see The Adventures of Peas and Carrots! YouTube channel and subscribe to them as well. I actually first learned from Carmen and her husband, through their vlog, about allergy-friendly waffles at the many Walt Disney World Buffets. Speaking of Carmen of The Adventure of Peas and Carrots! Vlog, she says that there is a gluten-free version of the ZEBRA DOMES, a popular dessert at BOMA in the Animal Kingdom Lodge. 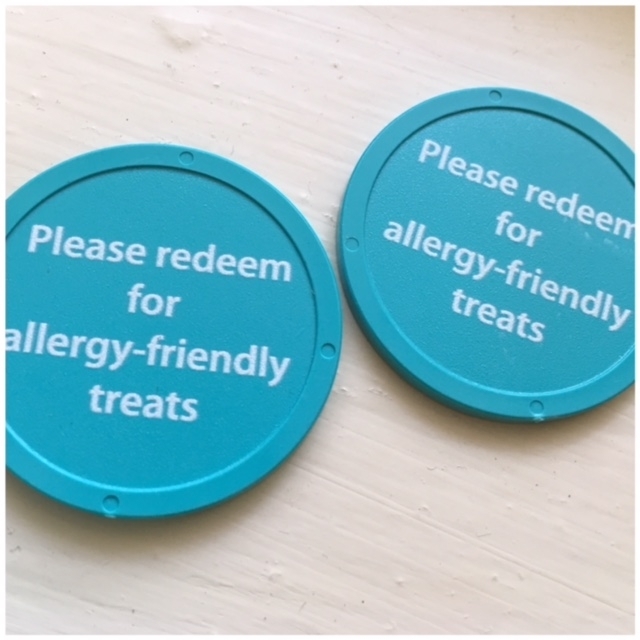 If you see any dessert or treat at Walt Disney World, inquire if there is an allergy-friendly version, you never know, you may be SURPRISED! Disney is the BEST place for food allergies. We have PN/TN and Shellfish in our house and Disney is the only place besides home that I feel completely safe.